Photo courtesy foodistablog, recipe link here. I love all of the out of the box thinking! It's so inspiring! 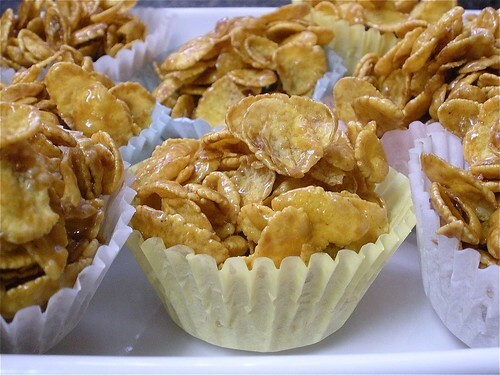 250g cornflakes, 125g butter, 1/4 cup brown sugar, 5 tbps honey.